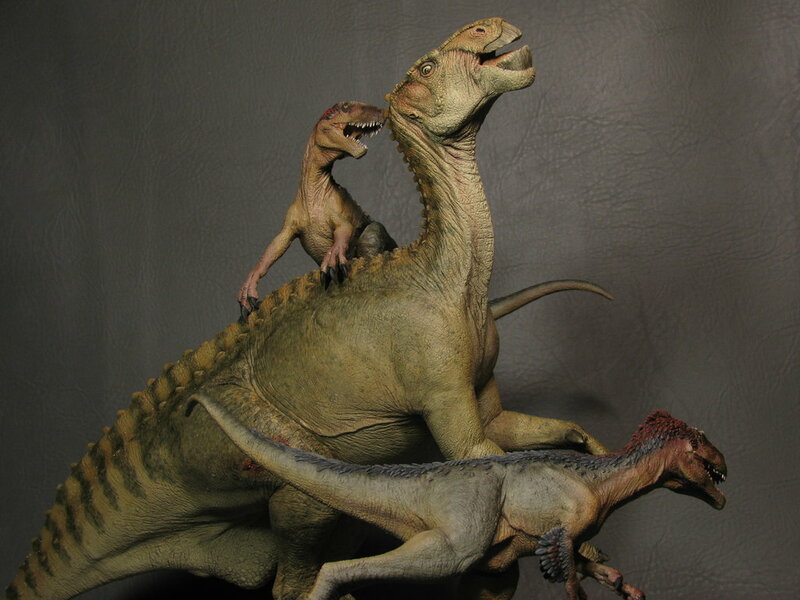 Iguanodon is a dinosaur which lived about 135 million years ago during the early Cretaceous Period. It was first discovered in 1822 by Mrs Mary Mantell in Sussex, UK. 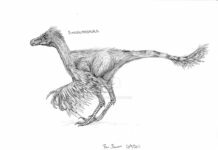 She found a few bones and some teeth that belonged to this dinosaur and immediately recognized the similarities this dinosaur’s teeth had with a modern iguana. 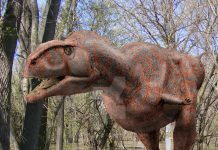 In 1825, her husband would go on to name the dinosaur Iguanadon, a term which literally means “iguana toothed.” Since that time, hundreds of fossils belonging to this dinosaur have been found around the world; not only in parts of England, but also in Germany, Belgium, North Africa and the United States. 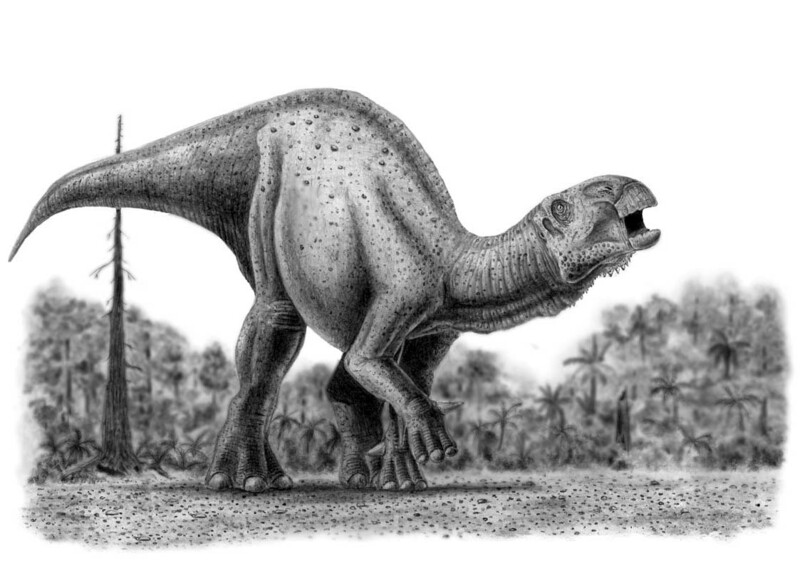 Iguanadon is estimated to have been about 45 feet long, 16 feet tall and may have weighed as much as 5 tons. 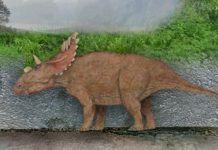 It’s teeth would indicate that it was probably an herbivore, although some scientists state that isn’t as evident as it seems. 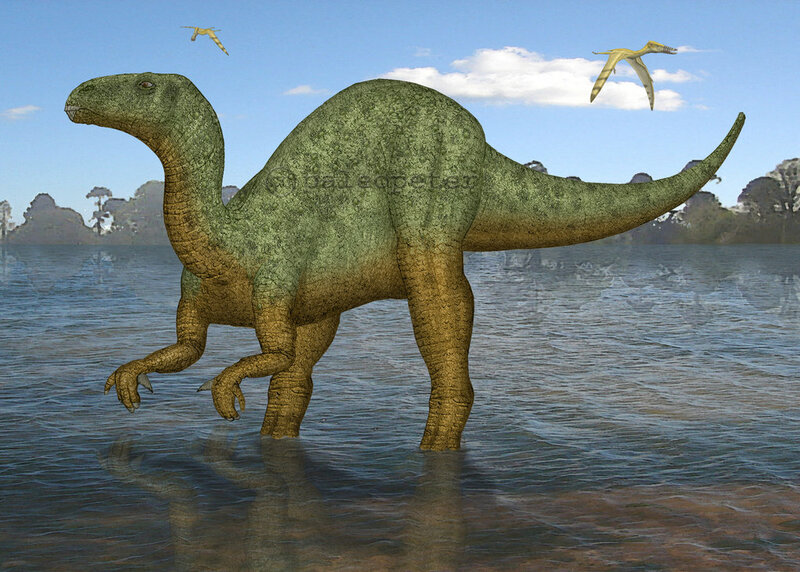 It would appear that this dinosaur probably ate things such as plant leaves and other tough vegetation. 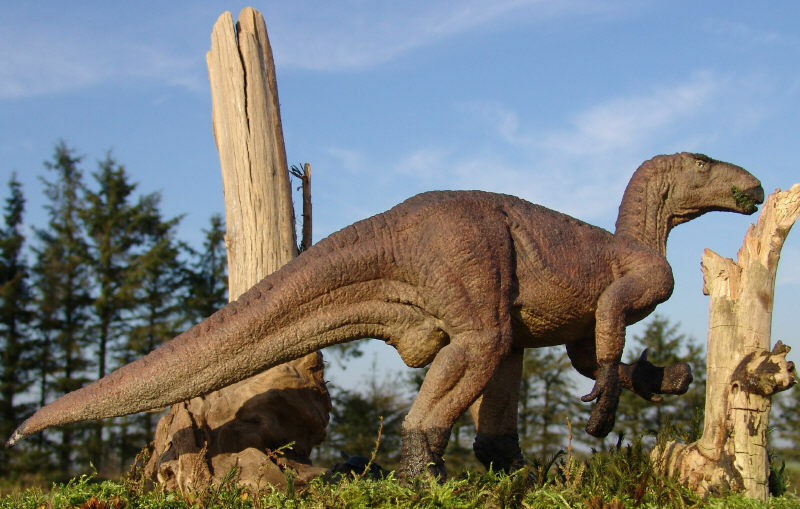 Some scientist believe that these dinosaurs were also probably herd animals. 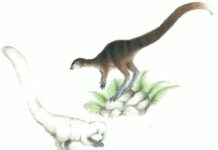 This is believed to be the case because several fossils of these animals have been found congregating together. 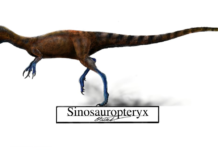 An interesting fact that should be noted is that this dinosaur is believed to be able to have walked on all four legs or two legs if it so desired. 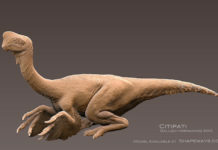 Computer models have also shown that the top speed of this dinosaur was about 12 miles per hour. That means it would travel about half as fast as a running human being or about the speed of a slithering snake. That doesn’t make Iguanadon very fast at all.